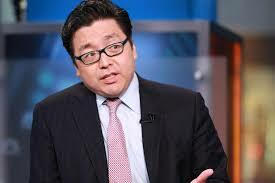 Co-founder Fundstrat Global Advisor Thomas Lee said Bitcoin (BTC) was again in the Bloomberg interview on April 5th. During the interview, Lee pointed out that Bitcoin critics have declared crypto-currency dead because it lost 90% of its value. However, he has now exceeded the 200-day moving average, which is why he thinks that feelings need to change and that BTC is currently on the bull market. Lee noted that Bitcoin formed a tail in the wind this year because the dollar was not growing, and the Chinese multiplier of the stock increased. "Many of them sold, in early 2018, some dry powder, started to put it into work." As Cointelegraph mentioned in March, Thomas Lee earlier told the CNBC that he thinks the bull's brand could be back in six months, pointing to an indicator of a 200-day moving average. 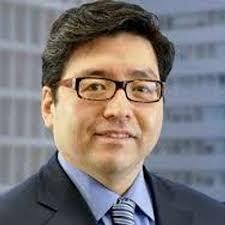 In February, fundraiser Fundstrat Global Advisors, headquartered in New York, released its 2019 forecasts for 2019, in which analysts describe additional improvements expected to support more currency code prices.